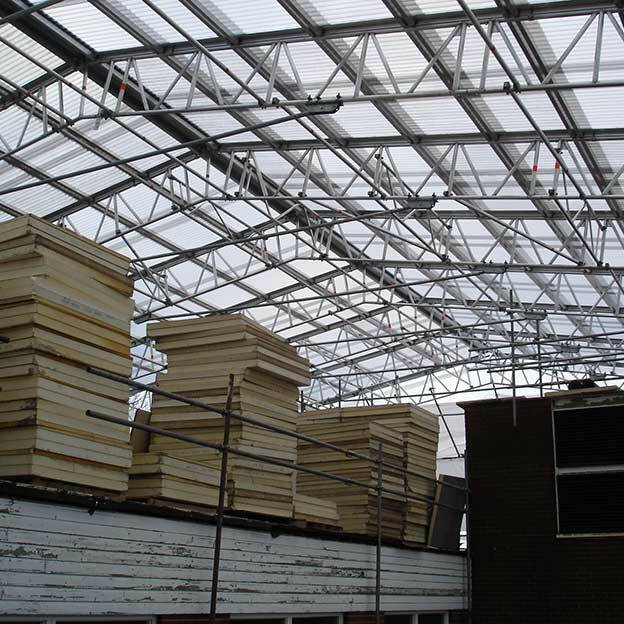 Featuring aluminium rails fixed to the ridges, trusses and eaves of a temporary roof frame, into which translucent sheets are simply slid into position, the Layher Keder Roof System meets on site needs in terms of performance and appearance. The latest addition to the range – the Layher Keder Roof XL – now means that spans of up to 40 metres can be achieved with a design that remains easy to install, lightweight and versatile. 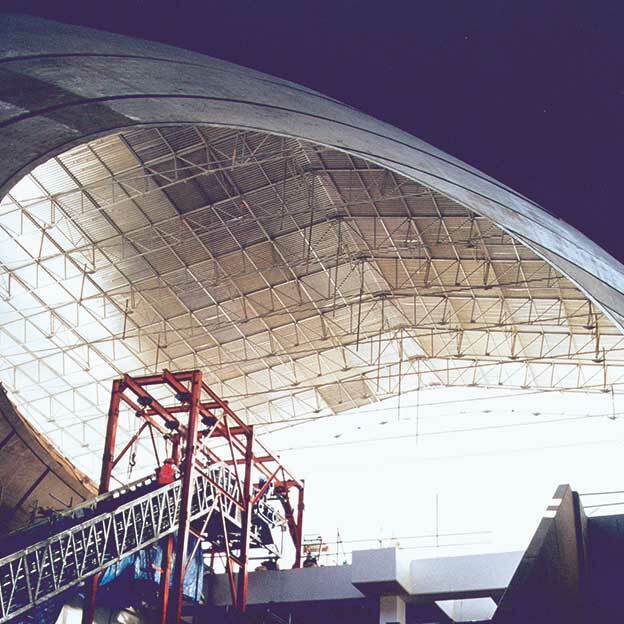 Bracing requirements are minimised whilst both roof and gable Keder sheeting options are also available – even arched or domed installations can be achieved. The Keder XL design features an enhanced lattice beam and top chord profile, and is the only roof beam with an integrated sheeting track. The system can be specified to meet light, standard or heavy-duty installation needs. The patented lightweight cassette roof design features a roof covering of aluminium/PVC cassettes that can be located onto all 450/750 aluminium lattice beams. The translucent panels can be erected by hand where crane facilities are not available whilst multiple sections can be stacked easily without the use of pallets – a simple aid to maintaining site efficiency. 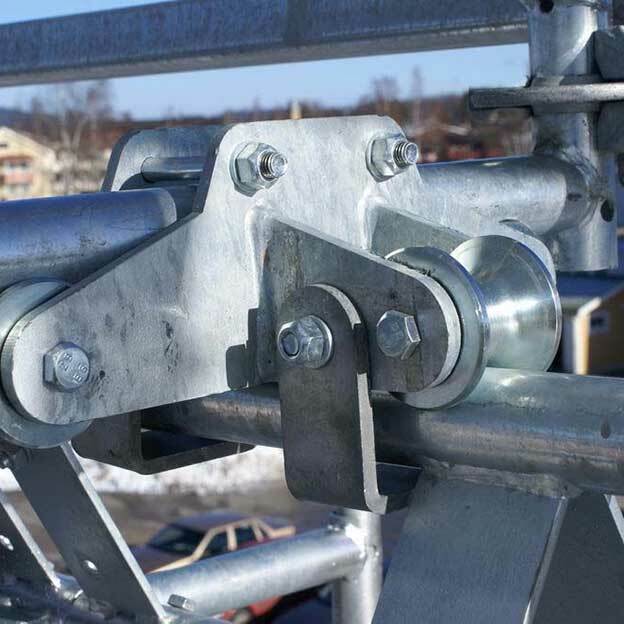 The design features a snap-on claw connection whilst the components also offer the option for multiple application – such as the U profile and shell clamps that can be used for building birdcage scaffolds. The well-established Layher steel cassette roof system features a minimal number of components and is designed to meet a wide range of spans and ridge angle requirements. The self-stiffening structure means the system can either be erected at height or at ground level for craning into position. Significantly, its strength is such that it offers the opportunity for larger spans and a high load bearing capacity, and can be safely walked on whenever required. 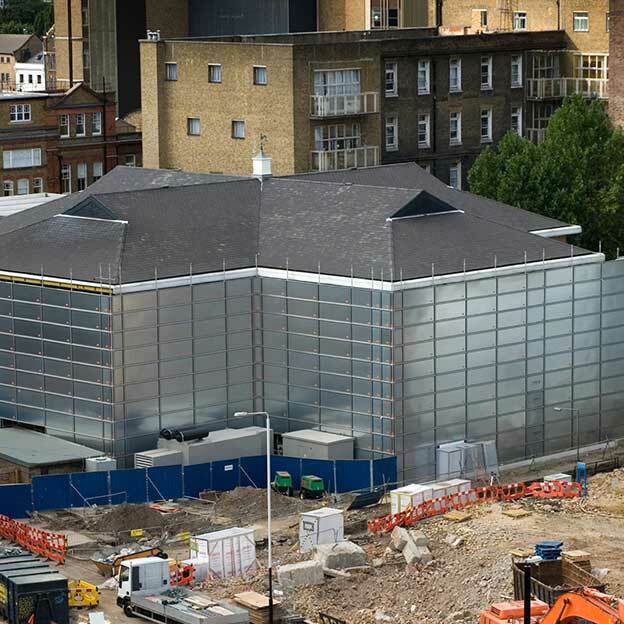 Layher temporary roofing systems can be built in a ‘mobile’ configuration enabling protection to be repositioned as a project proceeds. 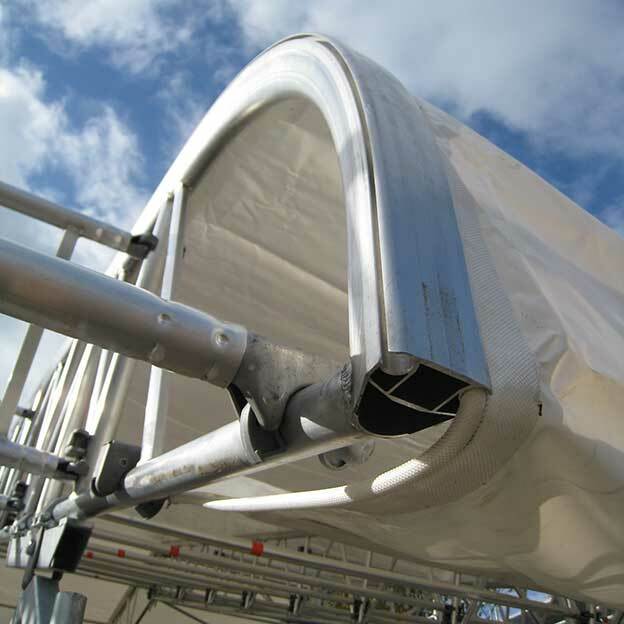 Easily assembled and benefiting from versatile design and lightweight construction, the apex structures are mounted on nylon wheels that sit on tracks created from Layher beams, which are themselves fixed to a suitable support scaffold. Repositioning along the rails can then be readily achieved using the minimal amount of manpower whilst even small radius installations can be accommodated. System designs also allow sections to be opened for craning access where required. The result is protection against the elements that can be achieved very cost-effectively, and fully in line with a building or refurbishment programme. The Layher Protect System is designed for use with both Allround® and SpeedyScaf® equipment, and provides a well proven means of containing noise and dust, with added aesthetic benefits. Featuring a lightweight aluminium frame that is in-filled with either sheet steel or plastic webbing to create a complete ‘skin’ around a structure, both internal and external protection is achieved. Additionally, sound absorbent matting can be fitted to minimise noise pollution. A wide range of panel sizes is available to match precise installation dimensions resulting in fast, economical and versatile applications that can also enhance site appearance.